While most Americans were busy sleeping off their Thanksgiving day dinners, the UFC was busy making a fight announcement. 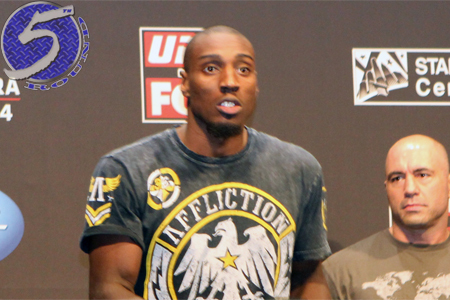 Light heavyweights Phil Davis (pictured) and Ryan Bader will collide at UFC on FOX 14. The January 24 event goes down inside Tele2 Arena in Stockholm, Sweden. Davis had his three-fight winning streak snapped by Anthony Johnson, but rebounded nicely by posting a unanimous decision victory over Glover Teixeira in October. “Mr. Wonderful’s” lone professional losses have come to Johnson and former champion Rashad Evans. Bader is perfect through his past three outings. He cruised to an easy unanimous decision win over Ovince St. Preux in August. FOX broadcasts the main card live in America starting at 8PM ET/5PM PT.